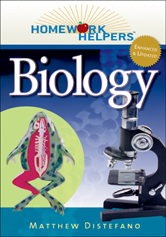 Homework Helpers: Biology is a user friendly review book that will make any studentor those trying to help them--feel like he or she has a private Biology tutor. Lesson 6-1: How Is Life Connected? Lesson 8-1: How Is Life Classified?